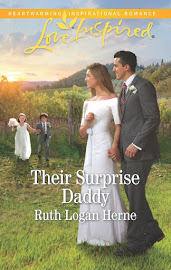 "Peace in the Valley" and "Their Surprise Daddy" Released!!!! "Peace in the Valley", the beautiful conclusion to the Double S trilogy is on shelves nationwide! And he's coming home for the best and worst possible reason. To risk his life to save his father's. An amazing command, a gut-wrenching decision. A touching story of one life saved... in order to return the favor. I hope it makes you smile.... sigh.... and cry. And the teacher who had to turn them into the law. A touching romance in a tender package, on sale for $3.88 NOW in Walmarts across the country. You cannot beat that price! 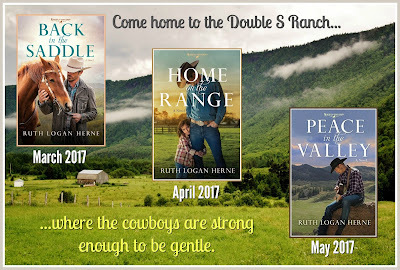 Remember you can e-mail Ruthy at loganherne@gmail.com, stop by her website ruthloganherne.com or hop on over to facebook and send her a friend request! She loves to talk to readers and writers about most anything! 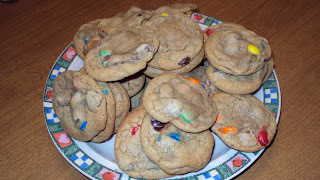 And every Thursday you can find her manning the kitchen and the coffee bar at the fun, interactive blog "Yankee Belle Cafe"! New Month, A New Release, A Chance to Win! Congratulations to our winner from last month's contest!!! 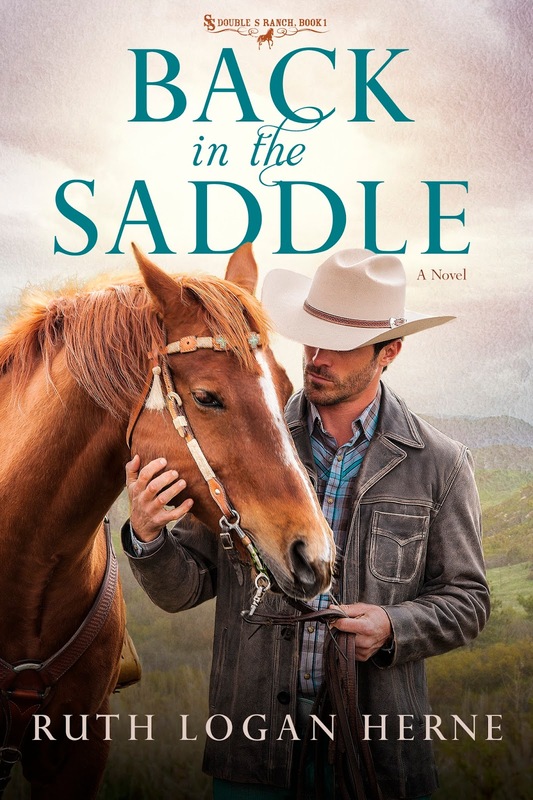 Barbara Klein, you've won a copy of "Back in the Saddle" and "Home on the Range"! Thank you so much for taking part in the contest!!! OKAY... 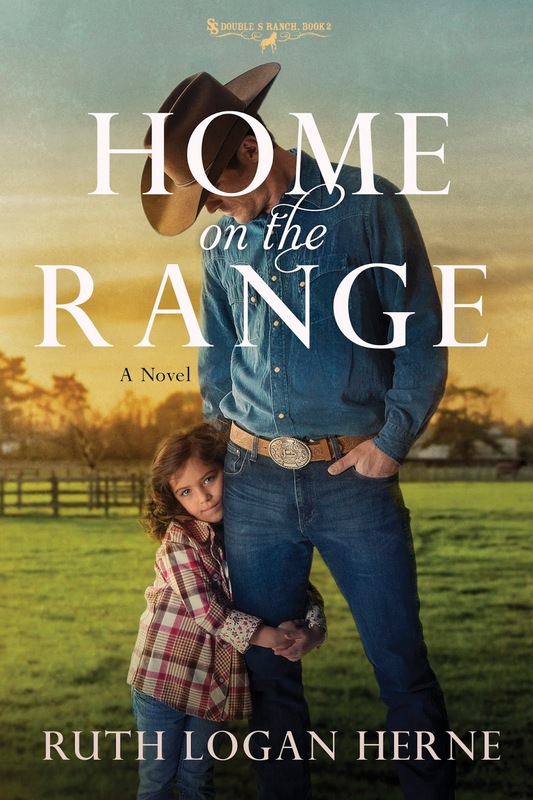 This month we've got "Home on the Range" releasing in mass market paperback form... Being shelved across the country, from sea to shining sea on APRIL 4th, 2017!!! 4 1/2 STARS Romantic Times Top Pick.... and a beautiful love story of a family broken... and dreams healed. 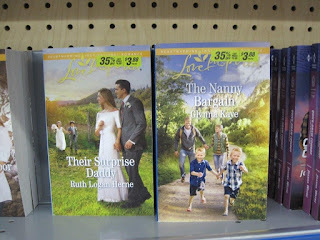 I am so excited that these wonderful books are going to be in thousands of stores nationwide. I am living my dream... and so glad and blessed to share it with you. If you get pictures of BOTH, I double the entries for you! 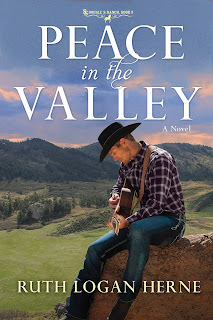 The prize: A brand new signed copy of "Peace in the Valley" the third book in this wonderful series.... And NOT YET RELEASED! Win it before you can buy it! We're keeping it simple here, because I'm a simple kind of gal, a country gal at heart, a gal who loves cowboys... and cowboy "code". First, a gentleman... then a cowboy. 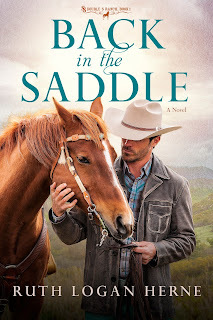 Back in the Saddle: Mass Market Release Today! You'll see Colt and "Yesterday's News", his beloved gelding, on shelves all over. Department stores... Anywhere books are sold in mass market editions, Colt, Nick and soon Trey will be making an appearance. I'm thrilled that this is happening. Thank you, Penguin/Random House for this amazing opportunity! Let me know if you see it... here or on facebook. Let's talk about why Westerns and cowboy code and the lure of simpler times and truer moments calls us home. Let's talk faith, hope and love here.... Right here. It's almost newsletter time again, so if you're not signed up, give me a shout below or at loganherne@gmail.com. We'll add you to the list! And check out the Rafflecopter giveaway below for signed copies of "Back in the Saddle" and "Home on the Range"! RAFFLECOPTER GIVEAWAY ENTRIES BEGIN AT MIDNIGHT 3/8/17!!!! List of upcoming books and novellas!!! Nick Stafford didn't ride off, chasing some dream... He stayed home, helping his father build a world-renowned ranch. Now his brothers are back and his father's sick and if you want to call Nick frustrated, well.. you wouldn't be wrong. He's the son who chose to stay, but so far, staying is only half the battle... And this is his story. 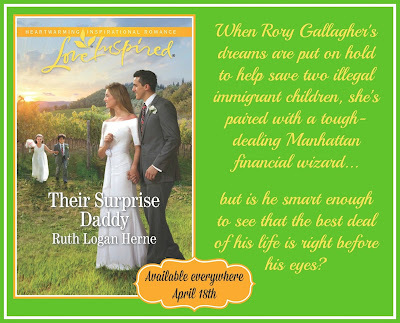 When two illegal immigrant children face severe consequences, can their two law-appointed guardians find a way to keep them safe, happy and maybe offer them a home-sweet-home together? The last thing the youngest Gallagher sister wants is to be attracted to a wealthy, stuck-on-himself Manhattan money-mover, but as she works side-by-side with handsome Cruz Maldonado, she sees the scarred man beneath the brilliance... and the tender heart he tries so hard to hide. I hope you love this beautiful story of sacrificial love and coming home... to Grace Haven, a town full of heart and hope. And here it is, the story you've been waiting for. The third son, not by birth but by design: God's design. The one whose destiny lay intertwined with so many others, the one whose golden future was born of a dismal past. 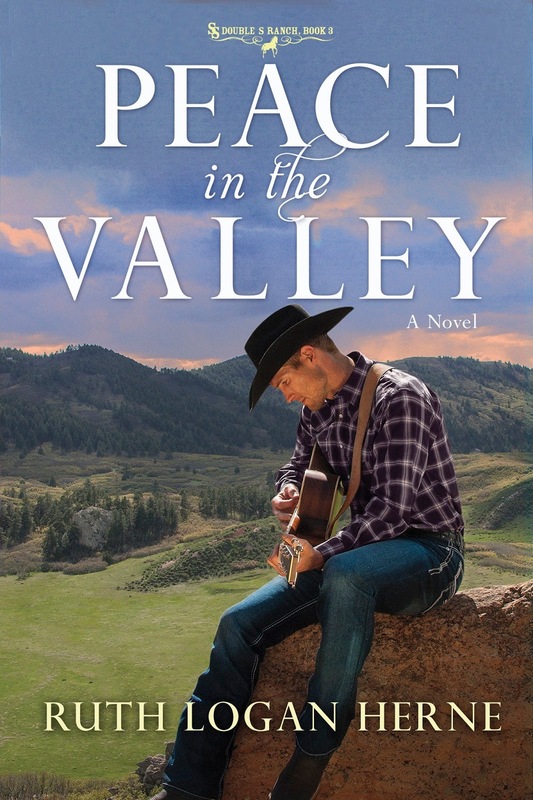 Trey's story, the country crooner who comes home searching for what he never really lost in the first place: love. These lovely gals from the Parma Public Library have graciously hosted me several times! The Friends of the Parma Public Library have been wonderfully supportive of my work and they are just the nicest bunch of people you'll ever meet. Giving a shout out to all of you gals, and a huge thank you! Oh my stars, thanks for comin' over!!! Yes, it's me, once again bothering innocent people and shamelessly exploiting small children and animals to sell wonderful sweet books that make you feel just a little bit better about most everything when you're done with them. I try to write the kind of book I like to READ... It just makes sense, doesn't it? :) If you click on the books below, they spring to life with a link to Amazon. I even make buying EASY for you. And inviting. If you can't afford the books (been there, done that, totally understandable) ask your local library to get them in. They're wonderful. I promise. Oh my stars!!! Huge thanks to Woman's World and Carla for choosing Winter's End as a BEST BEACH READ! Debut novel, 4 1/2 STARS, Romantic Times Review! 4 1/2 Stars Romantic Times Review! 4 1/2 STARS, Romantic Times Review! 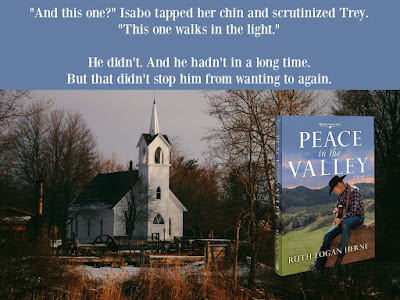 Ruth Logan Herne likes to be called “Ruthy”, she loves God, her family, her country, coffee and chocolate, thinks snakes should always live outside, possums should leave the cat food on the side porch alone and all grandchildren should be named for her. A mother and grandmother to seriously smart young people, she writes stories of humor, hope and faith, embracing God’s love and life’s opportunities. 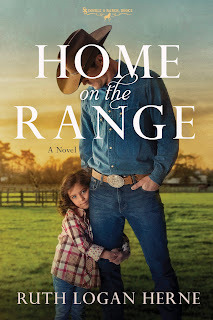 Now an established author with Love Inspired Books, her North Country books secured the coveted 4 ½ Star Romantic Times rating and Philosophy of Romance named Made to Order Family their “Book of the Year” for 2010. Her 2011 series is set in Allegany County, NY, one of the most gorgeous places on Earth. All three books have received a 4-Star rating! 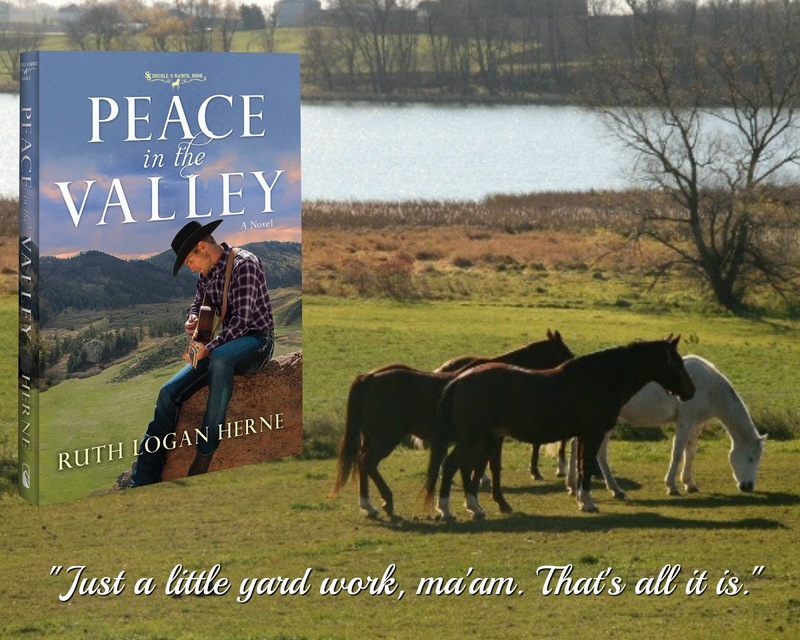 Set in the foothills of the Allegheny range, a Brigadoon-type town is coaxed back to life through love, romance, hard work and a strengthening economy. These are stories of new beginnings and righting old wrongs... Ruthy is also proud that "Winter's End" has been nominated for the prestigious Carol Award for Christian fiction AND that "Winter's End" received the Holt Medallion Award of Merit for best first book. Amazing. Jesus was not a theologian. He was God who told stories. Because a mom is supposed to love her children... right? Book images courtesy of Steeple Hill Books, used with permission. Watermark theme. Powered by Blogger.